FCC Chairman Alit Pai and Republican Commissioners earned big lumps of coal for holiday gifts this year when they shredded network neutrality protections on December 14th. They also raised interest in publicly owned Internet network infrastructure. 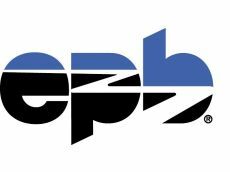 Existing publicly owned networks are reaffirming their commitment to network neutrality, including EPB Fiber Optics in Chattanooga. In an effort to better educate the community, EPB also asked legal counsel David DiBiase, marketing manager Beth Johnson, and Vice President of Marketing J.Ed. Marston to participate in the conversation and answer questions from viewers. The best possible service delivered with the utmost respect. That's always been our commitment to our customers — and it always will be. “Whether you’re talking about grade school students completing their homework or adults re-training for new careers, applying for jobs, or working from home, the internet provides critical access to educational and economic opportunities." A free people cannot permanently submit to the private monopoly of a necessity of life.